Despite not having a very early education in music, 21 year old Italian born Chiara Oldano has not let that get in her way. Having just released the first song off of her four track EP Fluorescently. 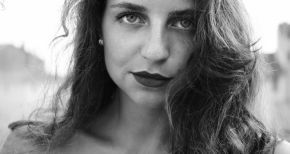 Having mastering techniques such as opera, soul and jazz Chiara’s current sound is more of a deeper, smoother pop sound. Early influences such as Céline Dion, Matt Corby and Freddie Mercury are strongly reflected through her music. Inspired by later academic music study at the renowned Berklee College of Music in Boston USA and the struggles of that academic system undervaluing creatives and her desire to share her music with others who also struggle with trying to achieve their goals. Fluorescently being her own personal revolution against that system. The triumph of achievement is the prevailing essence through this track and is equally mirrored by her performance in the accompanying video. Metaphorically, this EP also serves as window into a “Journey we all experience as children, an adventure filled with discovery, freedom and curiosity, where achievements seem limitless.” She says. During her second year at Exeter university, whilst studying Marketing and Management, Chiara formed the band ‘Chiara and The Vu’ which went on to perform at festivals with notable artists including Cascada, Wheatus and Example. In 2018, the singer was twice invited to sing at The Oblique Life’s Saturday Night Live. Chiara’s staggered EP Fluorescently will be available on all platforms and marks a pivotal starting point to what promises to be a successful musical career. Watch the music video for her single Fluorescently in our video box.